Essential for Model monitoring the temperature inside an incubator. 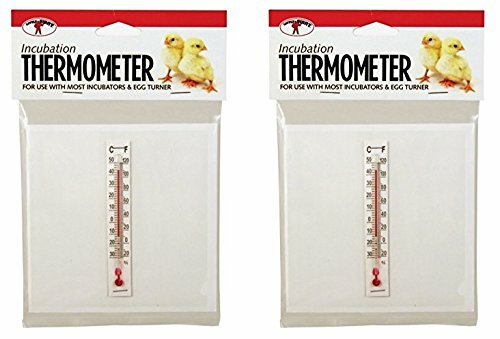 Mercury-free thermometer comes mounted on a clear Mylar sheet to keep it on top of the eggs for Model easy viewing. Easy-to-read graduation marks can be seen through the incubator window.